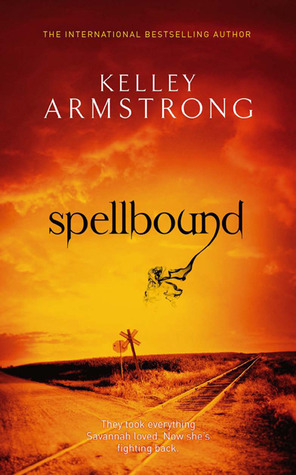 I'm going to be focusing on a book which I am planning to start soon - Spell Bound by Kelley Armstrong. It is book 12 in The Women of the Otherworld series. I am so close to finishing the series - one more book after this one which is aptly titled 13! "He watched a girl stumble from the motel office, room key glinting under the harsh lights of the parking lot. Lightning flashed, illuminating her figure. Tall and slender, barely more than a teen, too young to be out alone in a place like this, on a night like this. Thunder rumbled and crashed. The parking lot lights flickered and buzzed. Sheets of ice-cold rain battered the girl. She kept walking, oblivious, as her long hair whipped against her face. She paid no attention to the storm. No attention to the dark. No attention to him, standing across the road, watching." That opener got my attention. I would want to read more. Hope September brings you blessings, Sarah. That first paragraph got my attention . . . also liked your teasers. Wow, Sarah, that intro really got my attention. Hope the rest is as good. enjoy and Thanks for joining us this week. The intro paragraph was good - looks like you have a good read on your hands. Thanks for visiting Write Note Reviews. I wonder why he was watching her and why someone would want to summon a demon. Good beginning and teaser. Interesting. I would keep reading. That is a great intro. I normally do not read paranormal fantasy, only because there are just lots of other books outs there. But I may have to look into this series, I checked it out on Goodreads. This is not my normal genre, but something about it seems to "call to me." Ooh! Thanks for sharing...and for visiting my blog. Great description in that opening. The author makes me want to know what happens to the girl and wondering who is watching her and why. I like the opening...and the cover. I'd read for at least awhile! I haven't read any Armstrong but I'm getting one of her books soon so I think that'll probably be the catalyst for me to get into her books! I really love the beginning, it's really descriptive and atmospheric! Thanks for sharing :) hope you have a great week! I tried to get into that series and couldn't... dunno why. Her premises always sound so interesting! Uh oh, demons, safe houses... sounds like trouble! My favorite kind! Thanks for sharing and for stopping by My Teaser earlier! I haven't read the series before, but the opening does seem to promise a good story! Hope it's a great read for you. That is great descriptive writing. I like the tension created too. I'd keep going as I'd like to know what's going to happen next. Enjoy the book. It is bittersweet to come to the end of a series. Good intro and teasers. I'd keep reading. Hope you enjoy it as much as you're anticipating! Thanks for coming by Through Raspberry Colored Glasses.